Creating opportunities for our clients to ride before they buy is a pillar in our business structure. We work diligently to provide free opportunities, a demo to purchase program, and rentals for your next adventure. As our business grows, so will our fleet. We proudly stock Kona, Salsa, Santa Cruz, and Scott bicycles. Think of this as your Flat Tire Co. savings fund. This option takes just a few moments to fill out paper work for. Bicycles enrolled in this program are $100 per demo. Demo time period is three days. You may save up to 5 demo fees ($500) to apply to your new ride purchase. The remainder of your purchase may be paid in full however you see fit or financed by Syncrhony Financial up to 12 months same as cash (if approved). 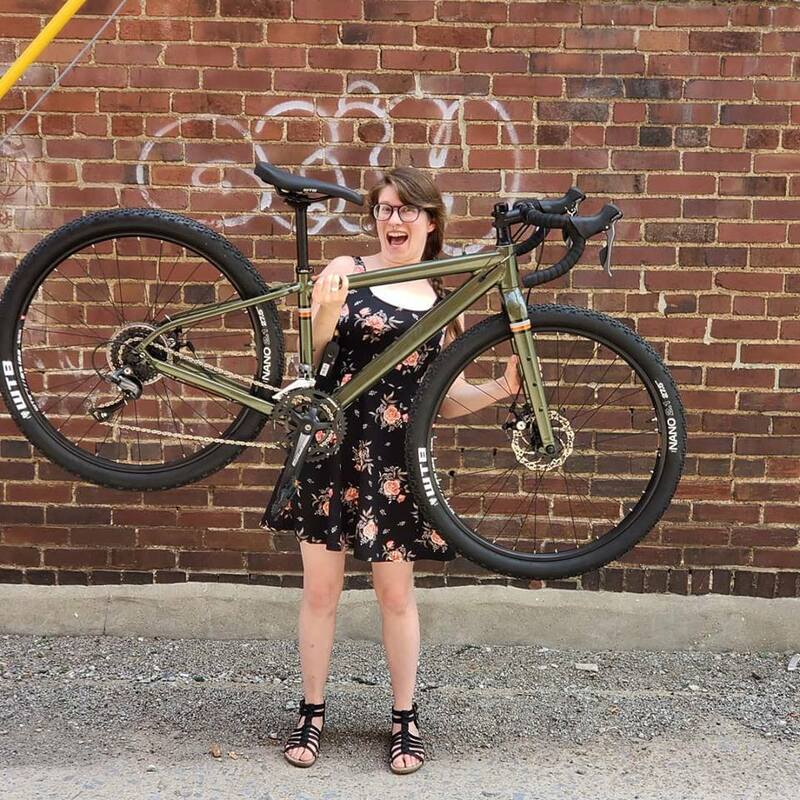 Need a bicycle for your next big ride, race, or to take out a friend? We’ve got you covered. Rates are available for simple weekend trips or multi-week adventures. Demo bicycles in stock rotate on a regular basis. We offer a variety of bicycles for demo suiting mountain, gravel, and touring oriented cycling. Mountain Demo Rides. Join us at Seven Springs Bike Park and XC trails once a month between May to October. We will have our van and full demo fleet at your disposal. Demo bike use is free of charge. Check the EVENTS page for dates. Gravel Demo Rides. Attend our Thursday All Road Ride April to September and demo any gravel bike for free during the ride. Please show up by 5:30 so we can get you set up for the ride at 6pm.